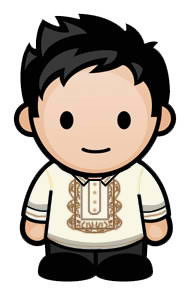 August 26, 2013 is the National Heroes day in the Philippines. This public holiday happens every last Monday of August to commemorate all the National Heroes of the country throughout history. The National Heroes day was initially celebrated on November 30 to celebrate the birthday of Andres Bonifacio, founder of the Katipunan and later moved to the fourth Monday of August, to pay tribute to all the known or unknown men and women who fought for Philippines freedom and democracy. In celebration for this years National Heroes day, a call to march on Luneta park is also being organized by Filipino people as a protest to the existing misuse of the congressional pork barrel funds. 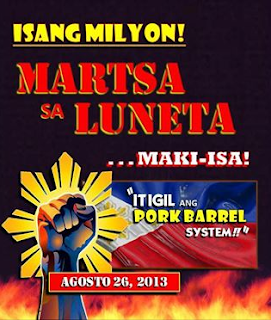 Everybody is invited at the park for a simple picnic or a gathering to celebrate the holiday and to take advantage of the moment to be heard as a group of concern citizens to scrap Pork Barrel which has ended up in the pockets of unscrupulous politicians. 1. The pork barrel scarpped. 2. The senators and congressmen in the pork barrel fund scam investigated and charged accordingly, with full media coverage for the people to see. No group banners. No political colors. No Speeches. Just ALL OF US ordinary, tax-paying people .We need this outrage, anger to reach critical mass. 'Yan ang Power ng Pinoy!